Babcock effect: Leafs land new coach but is he worth the money? 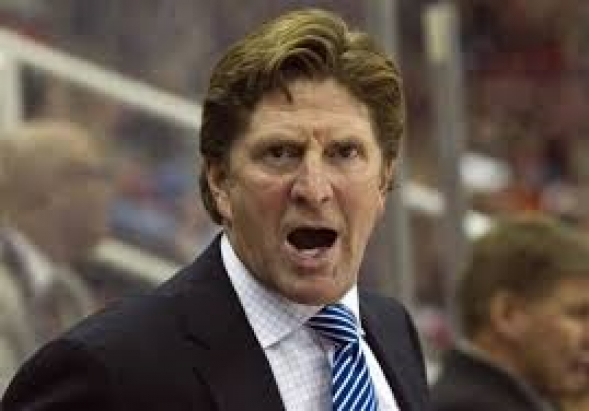 The Mike Babcock sweepstakes have concluded, and after edging out the Buffalo Sabres, the Toronto Maple Leafs have landed the services of Mr. Babcock behind their bench. Being the most sought after free agent coach in some time, Babcock hit the jackpot as well, signing an 8 year contract worth a reported $50 million dollars, the richest contract ever to be signed by an NHL coach. But here's the question...is Mike Babcock worth it? Whether it was Toronto or Buffalo, Babcock was looking at a major rebuilding process. And there's no doubt that Babcock was a successful regular season coach. In his 10 seasons in Detroit, the Red Wings made the playoffs every season, posting a .649 winning percentage. The Red Wings also had quite a core of players during Babcock's tenure in Detroit. And it seemed like, and still seems like, the Red Wings always had the next guy on the horizon to step up when one of their star players moved on. That had a lot to do with the work of General Manager Ken Holland. Here's the first problem Babcock will be facing, the Maple Leafs aren't the Red Wings. They're not even close. Bad free agent signings with even worse contract terms, bad decisions as far as trades went, and poor drafting have left Toronto as one of the worst teams in the NHL since the salary cap era began. In the 10 seasons since, the Leafs have made the playoffs just once. The fact of the matter is Toronto is an awful franchise right now. Mike Babcock is going from "Hockey Town" to Hockey Hell. Toronto is going to be in full rebuilding mode. But the fans and ownership seem to always want results right away. Perhaps its being spoiled by playing in hockey's richest market, but the expectations in Toronto are to win a Stanley Cup every year. Even though they've only made the once in the last 10 years, the Maple Leaf faithful probably already believe Mike Babcock is going to wave some magic hockey stick and turn Toronto into a contender next season. Sorry, but that's not going to happen. And what makes anyone believe that Mike Babcock is the guy that's going to bring the Leafs back to relevance? Sure, Babcock's career regular season record from his time in Detroit and 2 seasons prior in Anaheim is stellar. And Babcock's international coaching resume is loaded as well, winning two Olympic gold medals with Team Canada in 2010 and 2014 as well as winning the IIHF World Hockey Championship in 2004. But when it comes to the NHL post season, that's a different story. Babcock has been to the Stanley Cup Finals three times. He led the Red Wings to the Cup in 2008. He lost in the Finals in 2009, and in his first season in Anaheim back in 2003. He missed the playoffs in his second and final season in Anaheim. Besides the two Stanley Cup seasons in Detroit, the Red Wings only reached the conference finals one other time. The Wings were bounced in the first round 4 times, and the second round 3 times. And for more than a few of those seasons, the Red Wings had top level talent. Toronto does not, has not had top level talent in quite a while, and will not have it this coming season or in the near future due to their poor drafts and being saddled down with those bad free agent contracts that hurt against the salary cap. The expectations are high. The price for Mike Babcock's services is even higher. But will he be worth the hype and the money in the long run? I guess only time will tell, but I think smart money says the odds are better that Babcock doesn't last the term of his contract than they are for the Maple Leafs to win the Stanley Cup during his tenure.